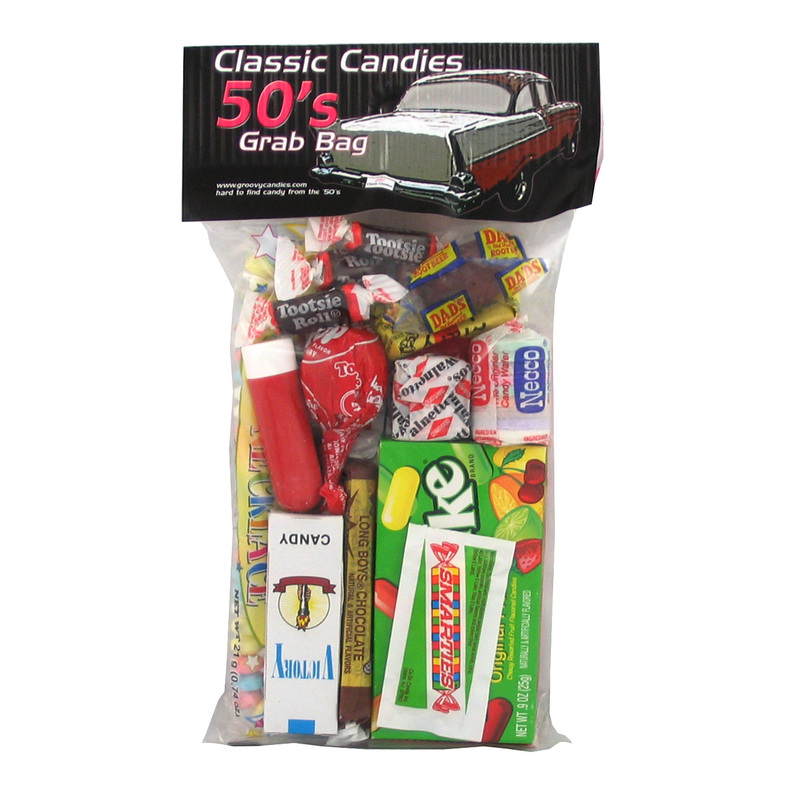 <50s Candy Bag.This 1950�s candy bag is a sweet way to celebrate your favorite decade. Sample about 15 different candies that come in this 8" x 4", 8 oz bag. Some of the candy that is included are Tootsie Rolls, Tootsie Roll Pops, Mary Janes, Charm Bracelets and Necklaces, Mike & Ikes, Necco Wafers, Walnettos, Dad�s Old Fashioned Root Beer, Pumpkin Seeds, Candy Cigarettes, Razzles and more! Candy contents will vary based on availability. Pair this gift with one of our trivia gifts from the year they were born or married and watch their eyes light up with the fun.